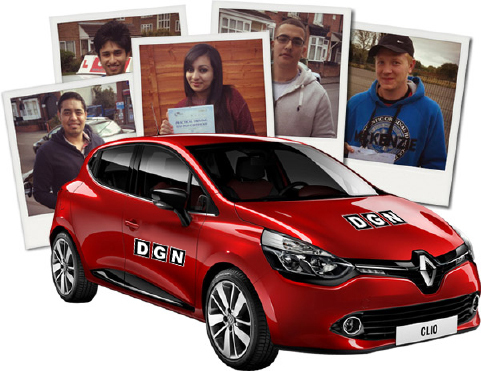 DGN Driving are Smethwick’s premier driving school offering an unrivalled learning experience to students across the region. We’re one of Smethwick’s only driving schools to display our reviews loud and proud because we’re committed to providing a high standard of education and a welcoming learning environment, which is why our students always love us. But don’t take our word for it, look at the countless 5 star reviews we have on Google, Facebook, FreeIndex and many more. There’s a growing number of people in Smethwick who wish to learn in an automatic from the outset, which is something we can cater to in the region. We’ve got manual and automatic instructors available and ready to go. I want to thank Nick from DGN for helping me pass my driving test first time within 6 weeks. Nick was really supportive and helpful and really did his best to make me pass in 6 weeks with me having no to driving experience at all prior to this. Great driving School, absolutely great instructor, passed quickly and 1st time with dgn. Would recommend it to anyone who wants to learn how to drive.